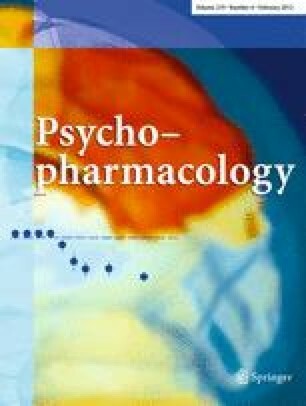 Alteration of dopamine neurotransmission in the prefrontal cortex, especially hypofunction of dopamine D1 receptors, contributes to psychotic symptoms and cognitive deficit in schizophrenia. D1 receptors signal through the cAMP/PKA second messenger cascade, which is modulated by phosphodiesterase (PDE) enzymes that hydrolyze and inactivate cyclic nucleotides. Though several PDEs are expressed in cortical neurons, the PDE4 enzyme family (PDE4A-D) has been implicated in the control of cognitive function. The best studied isoform, PDE4B, interacts with a schizophrenia susceptibility factor, disrupted in schizophrenia 1 (DISC1). We explore the control of mouse frontal cortex dopamine D1 receptor signaling and associated behavior by PDE4. Inhibition of PDE4 by rolipram induced activation of cAMP/PKA signaling in cortical slices and in vivo, leading to the phosphorylation of DARPP-32 and other postsynaptic and presynaptic PKA-substrates. Rolipram also enhanced DARPP-32 phosphorylation invoked by D1 receptor activation. Immunohistochemical studies demonstrated PDE4A, PDE4B, and PDE4D expression in DARPP-32-positive neurons in layer VI of frontal cortex, most likely in D1 receptor-positive, glutamatergic corticothalamic pyramidal neurons. Furthermore, the ability of rolipram treatment to improve the performance of mice in a sensorimotor gating test was DARPP-32-dependent. PDE4, which is co-expressed with DARPP-32 in D1 receptor-positive cortical pyramidal neurons in layer VI, modulates the level of D1 receptor signaling and DARPP-32 phosphorylation in the frontal cortex, likely influencing cognitive function. These biochemical and behavioral actions of PDE4 inhibitors may contribute to the hypothesized antipsychotic actions of this class of compounds. The online version of this article (doi: 10.1007/s00213-011-2436-8) contains supplementary material, which is available to authorized users. This research was supported by a Grant-in-Aid for Scientific Research from the Japan Society for the Promotion of Science (18300128 to A.N.) and grants from the US National Institutes of Health to G.L.S. (MH067488), J.A.B. (MH79710, MH083711, and DA016672), and P.G. and A.C.N. (MH 090963 and DA10044); the Michael Stern Parkinson's Research Foundation (to P.G. ); and the Department of Defense (DOD/USAMRAA W81XWH-09-1-402 and W81XWH-10-1-0640 to P.G.). G.L.S. was supported by funds from Intra-Cellular Therapies Inc. G.L.S. receives additional support from the United States Army Medical Research and Materiel Command NETRP Program (DAMD 17-03-2-0019, W81XWH-05-1-0400, and W81XWH-06-C-0013 to Intra-Cellular Therapies Inc). The authors thank Yukako Terasaki, Keiko Fujisaki, Michiko Sakamoto, Minal Rana, Tiffany Tsui, and Tomonori Furukawa for excellent technical assistance.